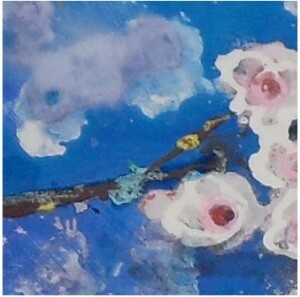 Having used acetone to create open spaces, I painted clouds and flower petals inside them. Check out the video. The full piece is here.